Some of our skilled journeymen, lathers, plasterers and plaster tenders have been with us since the beginning. When you work together that long, you’re much more than a company; you’re a family. Like a family, we take great pride in the work that bears our name. "These dedicated hardworking men have spent years learning lathing and plastering and have become masters of their respective trades. It is their hard work and determination that has made Tradesmen Quality Plastering a success." "Tradesmen is one of our preferred plastering companies and I highly recommend their firm to anyone looking for reliability, integrity, and a superior product." 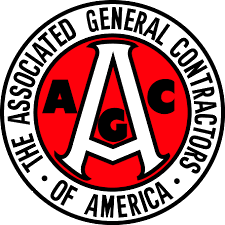 "It is such a relief in today’s market to have a subcontractor who takes pride in his work and understands the importance of a schedule." "The finished project looks great, and is something that Tradesmen Quality Plastering should be proud of." "Whenever Tradesmen is on your project, it is one less subcontractor to have to worry about because you know it will be done right and on time." Our mission is to establish a continuing tradition of high standards in workmanship while exceeding customer’s expectations in a timely manner.